New York State Thruway I-90 exit #42. Rt.14 North straight to Lake Ontario. 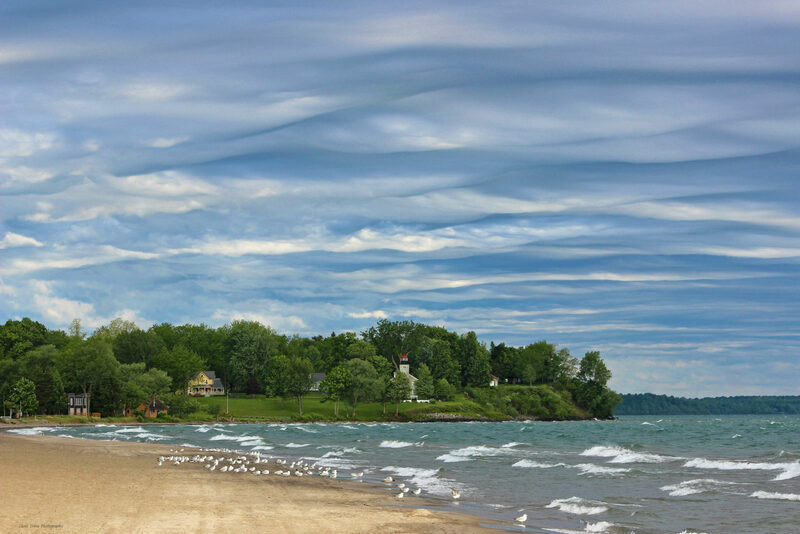 Beach view looking West upon the Sodus Bay Historical Lighthouse c.1872 on Lake Ontario.